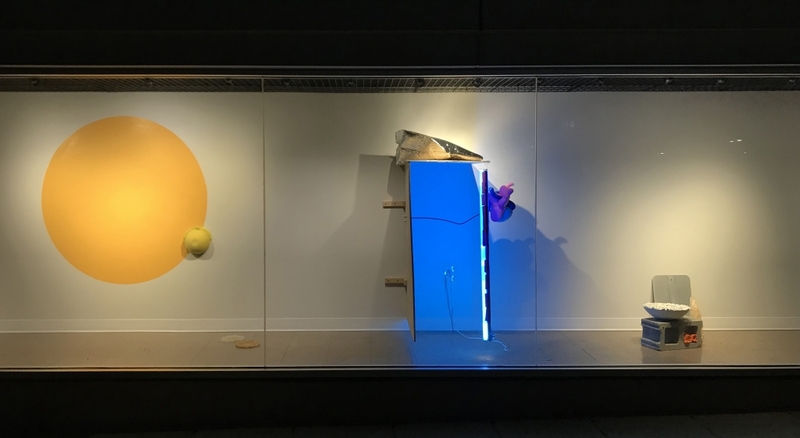 yolk | shell | source | system is a collaborative installation by Beki Basch and Clay Dunklin. Working intuitively, the artists instate division and order based on the logic of the 355 Pod as it corresponds to the work by mixing high and low craft, disposable and archival, contemporary and ancient. Inspired by the confines of the space itself, Basch and Dunklin channel their own processes and ideas where design meets art meets institutional display.